Gia Thanh's Dream of new SHoes - givekidsadreams Webseite! 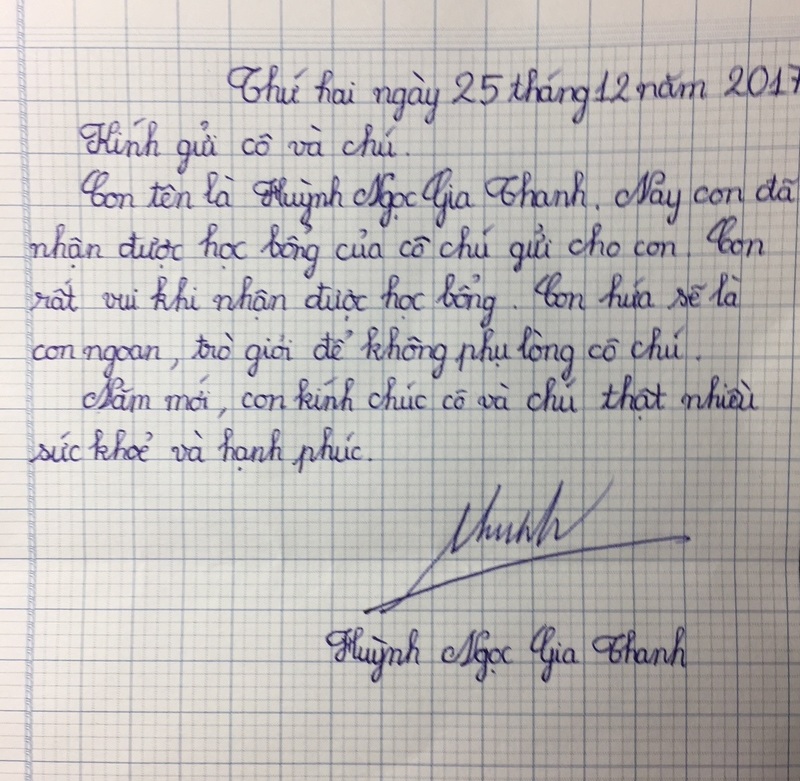 Behind the 3rd door of the GiKaD Advent Calendar 2017 was the story of Gia Thanh, a 12 years old girl who is attending the 6th grade secondary school Nguyễn Văn Nghi School, Gò Vấp in Vietnam. Her father works as an unskilled construction worker, her mother is paralyzed. 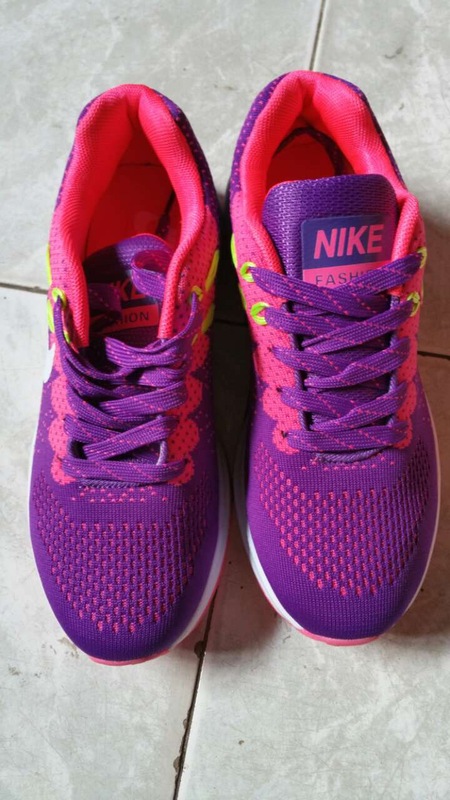 Gia Thanh dreamed of a pair of new shoes for the school. The soles of her old one were fixed with metal glue. On Saint Nicholas' Day (6.12), Mrs. Ngọc Anh and Mrs. Ninh Hồng visited Gia Thanh. She was very happy that her dream now comes true. 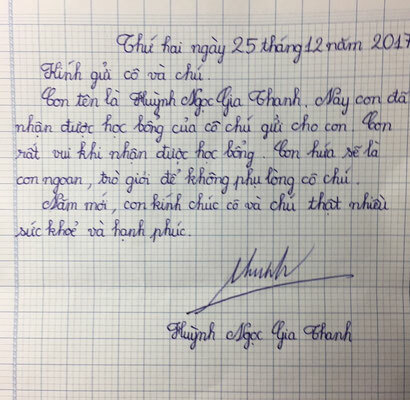 Gia Thanh received 200,000 VND (about 7 €) as a little gift from GiKaD, the shoes in her favorite color costed 250,000 VND (about 9 €). 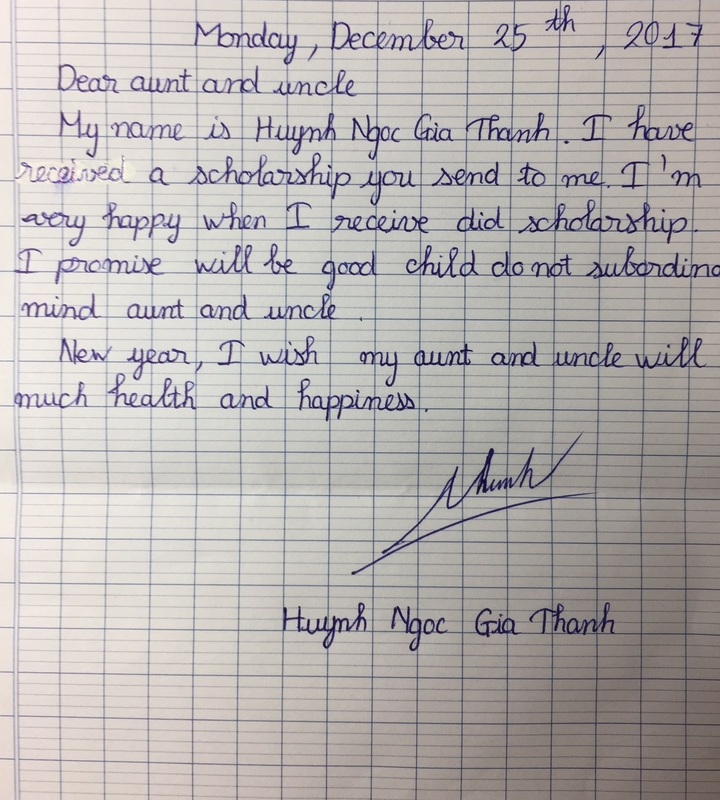 Gia Thanh asked the women to send a letter to her sponsor which she also translated into English. Her biggest dream is to work as a lecturer of english language at a university. We are looking for volunteers, students who take a voluntary year of social service in Saigon, who are interested in giving this girl tuition-free English lessons (2 times a week, 2 hours each). 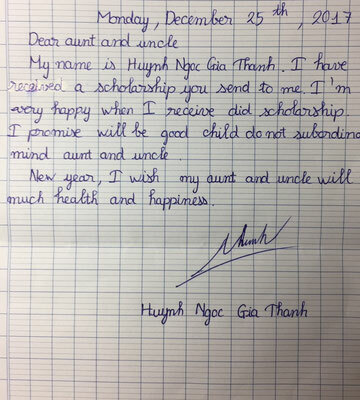 On behalf of Gia Thanh, we sincerely thank you for your support.